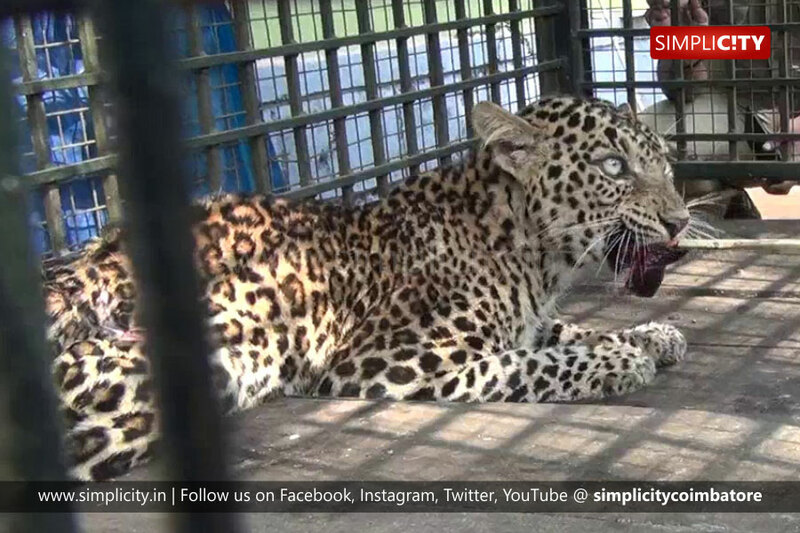 The Nilgiris: A leopard which was trapped at Pattavayal near Pandalur in Nilgiris is to be sent to the Vandalur Zoo. The leopard had strayed into a house in Pattavayal near Pandulur in Nilgiris on February 5. After it was trapped, it was noticed that the leopard had injuries on its body and was then treated by a team of veterinary doctors as per the orders of Forest Officer, Rahul. Under the supervision of the Forest Range Officer, Manoharan, a team of doctors Paranjothi and Nandhini were treating the leopard, thrice a day. Meanwhile, the doctors decided to send the leopard to Vandulur Zoo as soon as it is on its feet. Forest Officer, Rahul said, "There is improvement in the health of the leopard. We have suggested to the higher officials to send it to Vandalur Zoo instead of forcing it back into the forest. Once we receive the order, the leopard will be translocated to the zoo," he added.